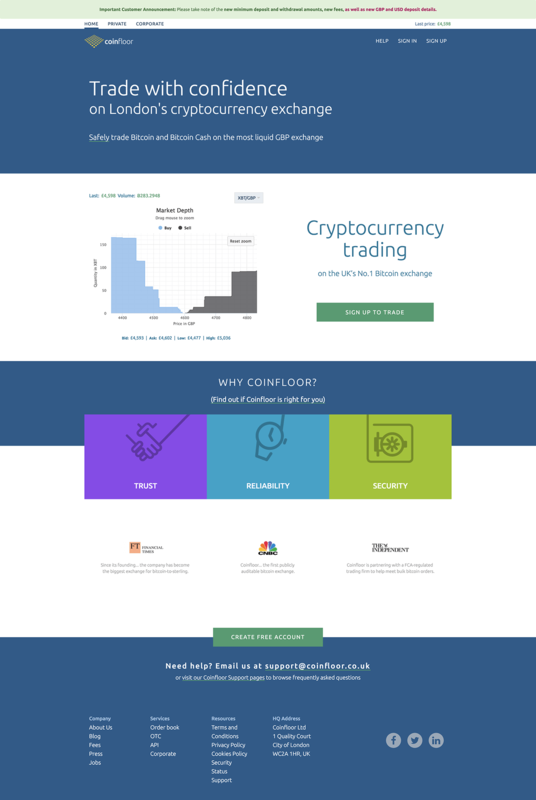 Coinfloor is one of the largest and most successful cryptocurrency exchanges in the UK and is considered the number 1 cryptocurrency exchange in the UK region. They earned this title from years of experience in the space and by offering secure, reliable and trusted crypto exchange services since their establishment in 2012. Coinfloor is largely a localized cryptocurrency exchange by primarily servicing customers from the UK, but also accepts traders from all around the world. Coinfloor’s main headquarters are located at 1 Quality Court, London, WC2A, 1HR, United Kingdom. Being based in the UK, Coinfloor falls under the jurisdiction of the UK Financial Conduct Authority (FCA), but due to the lack of laws regarding cryptocurrency regulation, they are not yet regulated by them. However, the exchange remains in close contact with the FCA and hopes to become regulated one day as they follow the guidelines put in place by them. Coinfloor only offers their services in English but offers both private and corporate cryptocurrency exchange accounts. With so many new cryptocurrency exchanges available, how do you know which one to choose and who to trust? Well, in the following review we delve deep into the aspects that make up this cryptocurrency exchange and see what sets Coinfloor apart from the competition and whether or not they can be trusted. Coinfloor offers traders very simple, secure, and highly liquid trading technology for buying and selling Bitcoin. The exchange offers traders three different trading technologies and two different account types being private and corporate accounts. The accounts are the same, except for corporate account has larger limits. See below, a quick overview of the Coinfloor trading technologies available to traders. Coinfloor offers HTTP and WebSockets Application Programming Interfaces (API) which offer very fast and ultra-low latency connections. The execution quality is excellent and both native libraries and non-official third-party libraries are available for use. Sample clients in popular programming languages are also available. This trading application technology is a robust and powerful trading interface which was built for day traders and allows for fast and reliable execution. The program is available for download on all desktop platforms. This trading technology is built on a Java library which provides an API for interacting with over 12 Bitcoin exchanges, giving traders a flawless interface for trading and accessing data. Coinfloor is a very basic cryptocurrency exchange which operates in only 2 markets which is the buying and selling of Bitcoin (BTC) or Bitcoin Cash(BCH) for British Pounds (GBP), US Dollars, (USD), or Euros (EUR). As well, traders can trade Bitcoin and Bitcoin Cash for one another without the need to transfer and exchange it for fiat currency. Coinfloor specializes in the Bitcoin markets and has done so since their establishment in 2012. Therefore, the Bitcoin market on Coinfloor is highly liquid which is why they attract both corporate and individual retail clients. Opening an account at Coinfloor is absolutely free, as well as their hot-wallet storage service for storing Bitcoin and Bitcoin Cash. There are no fees for depositing Bitcoin and Bitcoin Cash, except for the mining fee that’s imposed on all cryptocurrency transactions. As for fiat currency deposits, they are all completed via Bank Wire Transfer and have the following deposit fees; 5 GBP, or 1.5 EUR, or 10 USD. Also, the minimum deposit for all these currencies is $2500 and withdrawals are not limited but are subject to the same transfer fees. As for the trading fees for buying and selling Bitcoin and Bitcoin Cash for fiat currency, they range from 0.10% to 0.30% per trade. Orders which are less that $500,000 incur a trading fee of 0.30%, orders from $500,000 – 1,000,000 incur a fee of 0.20%, and orders over $1,000,000 incur a fee of 0.10%. The 0.30% fee for trades under $500,000 is rather high compared with industry standards, and therefore Coinfloor is better suited for high profile cryptocurrency traders. Coinfloor is well known for being one of the safest and most secure cryptocurrency exchanges around. All cryptocurrency funds are held offline in cold storage wallets and fiat currencies are held in segregated accounts from regulated and secure banks.  The exchange has been operating since 2012 and there has never been any hacks or loss of funds. Additional security measures include two factor authentication which is required upon signing in and withdrawing funds. Also, Coinfloor conducts regular audits and is in close contact with the UK’s Financial Conduct Authority (FCA). As well, they are registered with the Information Commissioner’s Office under the Data Protection Act which ensures the safety of user’s data and financial information. All in all, Coinfloor is one of the safest and most secure cryptocurrency exchanges out there and is also very fair and transparent with their services. Customer support offered by Coinfloor is rather limited as support is only available through Zendesk “submit a request” form. While this support method is well organized and often very helpful with their responses, it is rather slow. However, often times customers can find answers to their questions through the extensive and information support centre. Past user’s requests are submitted here, and users can search for what they’re looking for in the search bar and categorized sections. Coinfloor is the biggest Bitcoin exchange in the UK and has serviced the region and the rest of the world safe and securely since 2012. The exchange is rather limited with their available crypto markets but makes up for this with their high liquidity and reliability. The technology powering the exchange platform is highly sophisticated and user friendly. Coinfloor is primarily for high profile traders as they receive favorable trading fees for large volume trading. However, Coinfloor also accepts individual retail traders who want access to a secure and liquid exchange. All in all, Coinfloor is a reputable cryptocurrency exchange for buying and selling Bitcoin and Bitcoin Cash. The following are the common questions that customers inquired about Coinfloor. No, it is not regulated but has close ties to the UK Financial Conduct Authority (FCA). No, Coinflooris a legit broker with an excellent reputation. Coinfloor is based at 1 Quality Court, London, WC2A, 1HR, United Kingdom. Being based in the UK. CoinFloor is very secure and offers some advanced trading extras for their clients. CoinFloor lacks regulation and a strong range of assets. CoinFloor offers both retail and corporate accounts for traders who want to access the crypto market. CoinFloor is not regulated and offers a rather slim range of assets compared to other brokers.